Disclaimer: I was offered product in exchange for my post, however all thoughts and opinions are my own. It's back to school time for everyone, even though I went back last week, and organization is high on everyone's list! This year's labels have the whole family on them so everyone can use them! Kidecals makes awesome washable labels perfect for both me and the princess as we head back to school. Labels are on clothes, water bottles, lunch boxes and backpacks. Even daddy took advantage of the labels and put one on his work lunchbox! I love that these labels hold up to washings and definitely help keep track of our stuff! Here's a video created by kidecals to show you all the amazing labels they have and the fun ways you can use them! Kidecals offers free shipping regardless of how much you order, so get buying! It's my first day back with students! I'm both happy and sad. Happy to see my students, sad to leave my own kids for the day. It's (once again) taken me a while to form my thoughts on a parenting concept. Everyone has seen this image circulating the interwebs. And honestly, I don't know how I feel about it. Am I happy that even more people are pushing for acceptance of breastfeeding? Yes. But it also raises some flags in my head. It's this idealized view that you can be this gorgeous supermom who can nonchalantly feed her (not peeing on her) naked baby. Yes, I know it's an editorial picture but part of me feels like it's not real because of that. Why not have her curled up on her bed, wet tears still on her cheeks because the latch hurts so damn much for the first couple weeks? Why not show her in a pair of yoga pants because she is still self conscious about her stomach? Or nursing half asleep because she hasn't had a full night of sleep in 3 months? Why not show dad feeding the baby a bottle of pumped milk? A couple weeks back, my husband and I went to a wedding a couple states over. We had a friend come to watch the two kids in the hotel because I couldn't be that far from them overnight. I wore a pretty dress and curled my hair. Between the ceremony and the reception I went back to the room to nurse my little guy. It's the closest I will ever get to this photo. In that moment, I felt like the ultimate supermom: composed, groomed, nursing a happy baby... but it's only a small piece of the whole breastfeeding picture in my house. Breastfeeding is me in yoga pants on the couch. Breastfeeding while walking through the Aquarium because little man decided he needed to eat at that moment. Breastfeeding is my ugly simple nursing bras that are more function than form. Breastfeeding is my 3 month old's hand wrapped around my finger so he stops scratching the top of my chest. I wish Glamour had shown these other facets too. Just as breastfeeding is beautiful, there is a beauty in the struggle of breastfeeding as well. 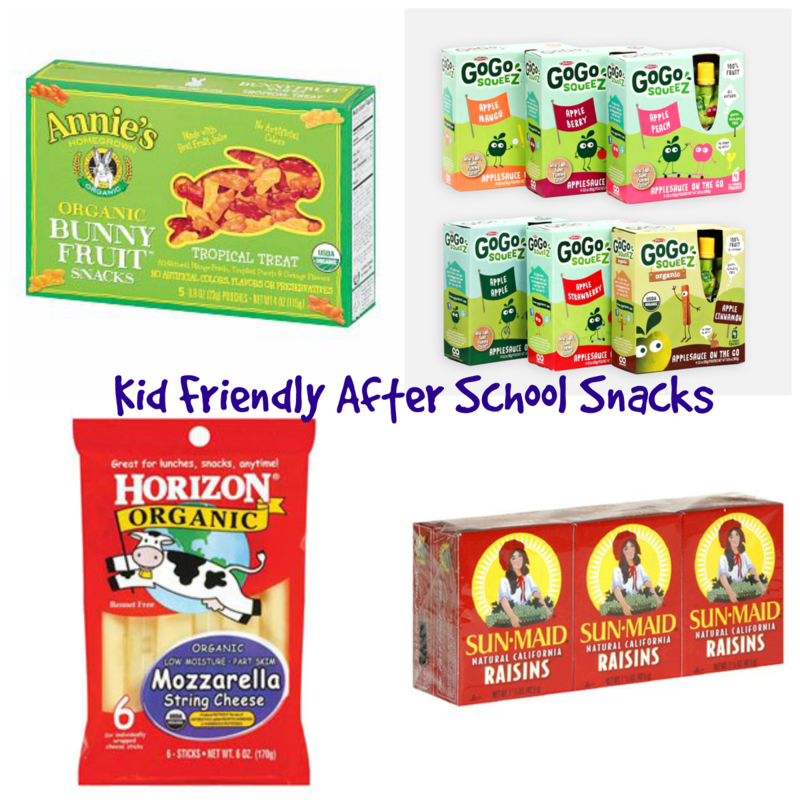 Back to School Snack Attacks! At this time next week, my little girl will be in her first Preschool class! I'm having more anxiety about this than I thought I would, especially considering she did two days of day care last year, but there's something so unnerving about the word "Preschool". It's the first step to 13 more years of schools and it's one more person to get ready in the morning as I'm heading to work. I'm not super concerned about the morning routine, but I am nervous about the afternoon routine. One way to make it easier is to have a handful of kid friendly snacks that the Princess can grab on her own while I'm with the little man. We love Annie's and Go Go Squeezes. I would be willing to bet you money that if you came by and asked for either, we have them. They're just a staple for us and you can't go wrong with cheese and raisins when it comes to the princess. I love that each is each for her to grab on her own so it's one less thing I have to worry about as we're walking in the door! What other snacks do you have as go-to after school snacks for your kids? Disclaimer: I received product in exchange for this review, however, all thoughts and opinions are my own. With two kids in the house, we have a LOT of toys. We saved a few really great toys Emma had when she was a baby for Tyler to use in the coming months but most of her baby stuff made its way out the door when she outgrew it. We lived in a super tiny apartment and nothing was super sentimental or not replaceable so we let a lot of it go. And now, looking at her room, you'd have no idea. The house is overflowing with her toys! However, when I walked up to the Developmental Duffle table at MommyCon, I knew it was worth the investment! The Developmental Duffle is designed around play with a purpose. Each toy serves a purpose and many, if not all of the toys, offer developmental skills across gross motor, fine motor, and emotional development. 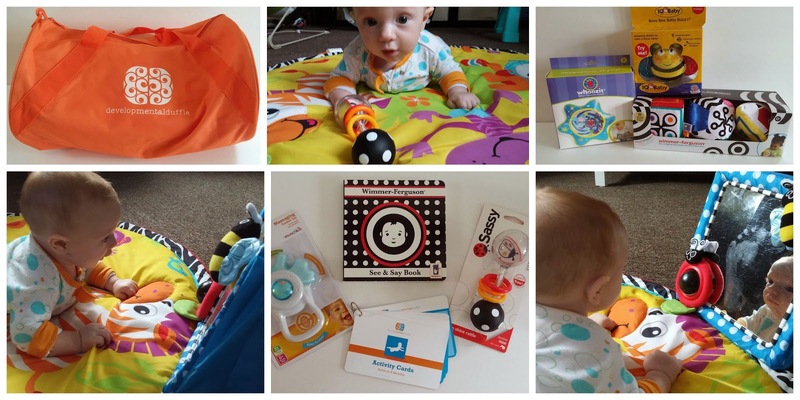 Each toy is researched and selected to be the most useful and fun way to help children hit the milestones they are supposed to by certain ages. Because the conference was for new and expecting mothers, we walked home with a Developmental Duffle designed for birth to six months. The birth to six month duffle is perfect for our little man! So far, his favorite toy is the crib mirror. He must have been content for almost a half hour just looking at himself, or the other baby as he sees it! I love the activity cards. Each card has a different way that the toys can be played with depending on which developmental milestone you want to work on. Developmental Duffle also offers duffles for 6-12 months, 12-18 months, 18-24 months, 24-36 months, 36-48 months, and 48-60 months, as well as Specialty Bags and Build Your Own Duffles. The Specialty Duffles range from Preschool Fine Motor to Taking Care of Senses to Outdoor Exploring and the Build Your Own allows you to custom pick whichever toys you'd like added! however, with so many amazing curated bags, I'm not sure which I should duffle I should pick for the Princess when I get the 6-12 month bag for little man! I love that each toy is high quality and is smart. It's more than just a toy, it's a learning instrument disguised as a toy and that is just wonderful to me! For more info you can always check out The Developmental Duffle Facebook Page too! At the beginning of the month I was invited to go to Mommy Con at the Revere Hotel in Boston. The website says "MommyCon is a boutique style natural parenting convention focused on bringing modern families together to discuss, learn and grow together", which means I got to hang out with a ton of amazing vendors and other parents who value things like bed sharing, babywearing, and breastfeeding. I am seriously hoping Mommy Con comes back to Boston next year! I was challenged and accepted the Ice Bucket Challenge and I thought I'd share my video on here to raise even more awareness for ALS. Love the idea but no one has challenged you? Dump some ice and donate at least $10, or donate $100 and get a free pass, but just make sure you share and raise even more awareness! Disclaimer: I was offered free product in exchange for a partnership at Blogger Bash, however all thoughts and opinions are my own. Everyone (and their mothers) knows I love me something nautical and a good anchor is where it's at. I seriously don't think you can ever have too many anchors. Am I wrong? Nope. 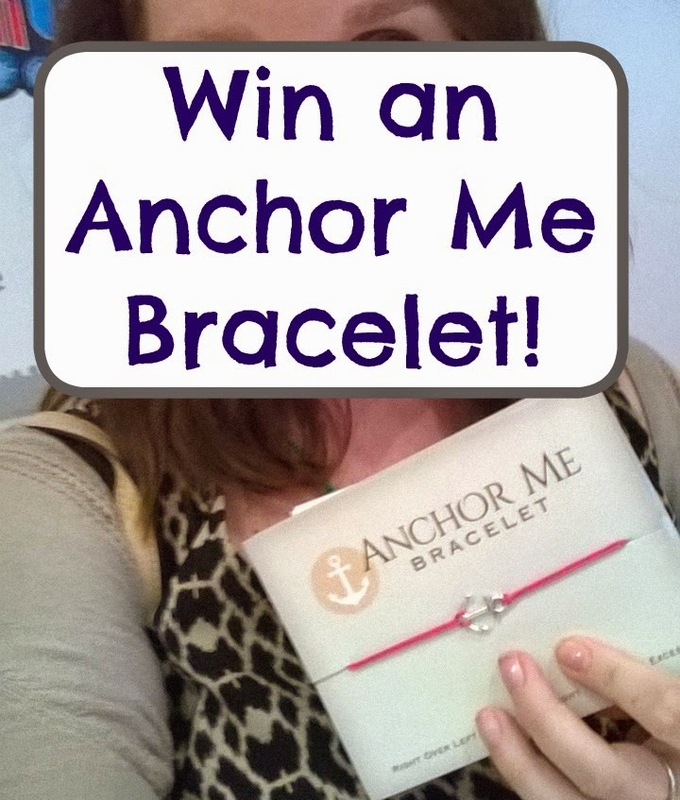 So I was floored when I got to partner with Anchor Me Bracelets while attending Blogger Bash. If you watched my Instagram feed you saw the most adorable bracelets popping up quite a bit. Oh, and I'm a HUGE fan of the Anchor Me Bracelet Instagram feed. She's just adorable. The idea behind the bracelets is that you give it to someone who anchors you, who makes you happy, you gives you hope. It will remind you that you are never alone in this world. You can choose a silver or bronze anchor and the strings come in Brown Leather, Off-White, Khaki, Black, Navy, Purple, Teal, Pink, Lime Green, or Turquoise. They are handmade items and a steal at only 13.95 a piece. I love my navy and silver combo. It goes with everything I wear and is just perfect. And since I love it so much, I'll letting a lucky winner snag one as well! Open to US winners only, winner will have 48 hours to respond otherwise a new winner will be chosen. Disclaimer: I participated in an Influencer Activation Program on behalf of Mom Central Consulting for Nutrish for Cats. 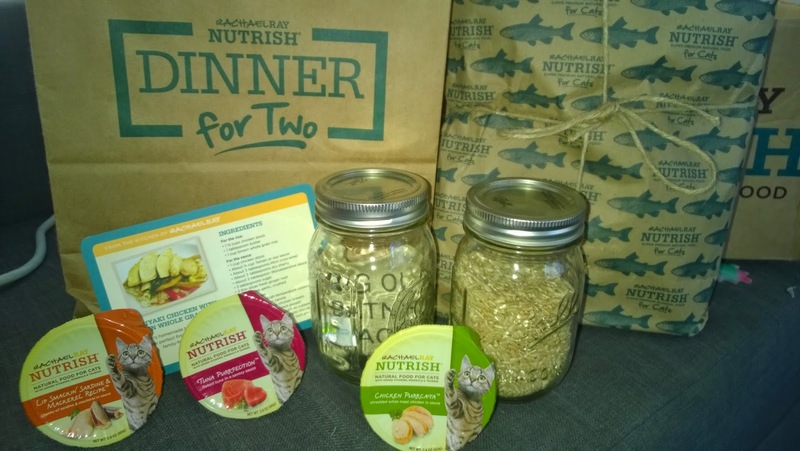 I received a sample of Nutrish for Cats to facilitate this review and a promotional item to thank me for participating. It's no secret I've been attempting to be healthier. Got a gym membership, wear a fitbit, and am even changing our eating habits. Three years ago most of my food came from the packaged area in the grocery store, now when we go shopping we shop the perimeter; it's just healthier. I've been looking through lots of cook books looking for healthy, delicious meals that the even the three year old will eat and I found an amazing chicken and brown rice recipe from Rachel Ray. In a small pot, bring the stock and butter to low boil. Stir in the rice and cover; reduce the heat to a low simmer and cook for 2 minutes. Turn off the heat; do not remove the lid and let stand for 10 minutes. Place the sauce ingredients in another small pot and bring to a boil. Let reduce by about half, 15 minutes at medium heat, at a low boil. Add about 2 tablespoons cooking oil to a skillet and heat over medium-high heat. Season the chicken with light salt and more aggressively with pepper. Cook for 8-9 minutes, turning occasionally; remove. Add the peppers and stir for 2-3 minutes, but let them remain tender-crisp. Add the scallions and toss for 1 minute more; remove from the heat. Slice the chicken across the breasts into 1/2-inch thick pieces. Arrange the rice on plates or in shallow bowls and top with the peppers, scallions and chicken. Drizzle the sauce evenly over the chicken and rice, then serve. I'm happy to say the picky three year old actually ate two servings! I love that I can make healthy and delicious meal options for my family and Rachel Ray has created a healthy dog and healthy cat food line to ensure all the members of our family eat well! This natural food for cats contains real meat and no poultry by-product meal, fillers or junk. We can feel good giving her the best cat food there is and we've already seen a happier, more energetic cat since we switched to Nutrish. Rachel Ray's Nutrish offers both wet and dry food. We've never been a wet food family but she just loved it so much we may have converted! She gladly eats it all up! Interested in picking some up? You can locate your closest retailer and then use these coupons to help you switch to Nutrish! In the meantime, check out Nutrish on Facebook, Twitter, and Instagram and enter to win a Nutrish Prize Pack! Contest entrants are only to win once per sweepstake, per household as part of a campaign sponsored by Mom Central Consulting. Contest ends 8/15. Winner will be emailed and have 48 hours to respond otherwise a new winner will be chosen. It's been forever since I joined Book Club Friday with Blonde... Undercover Blonde but I read a book just for fun! I adore Mitch Albom's other books and was actually surprised I hadn't read this before. The entire book is perpetuated by one question and it really kept me hooked; I needed to know. I started reading the book at 9 am and was finished with it by noon time. It's a nice, easy read but there's so much to the story and makes you think about your own life. I just loved it and you should absolutely read it! Four years ago, I became yours and you became mine. 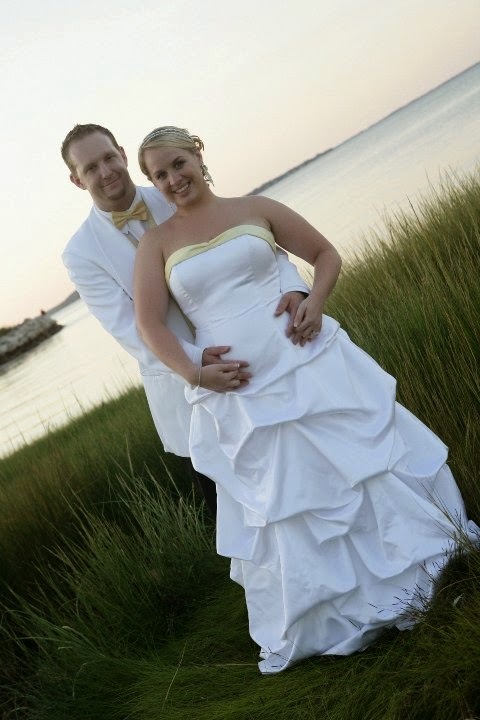 We took our vows, for better or worse, not realizing how fast worse would hit. 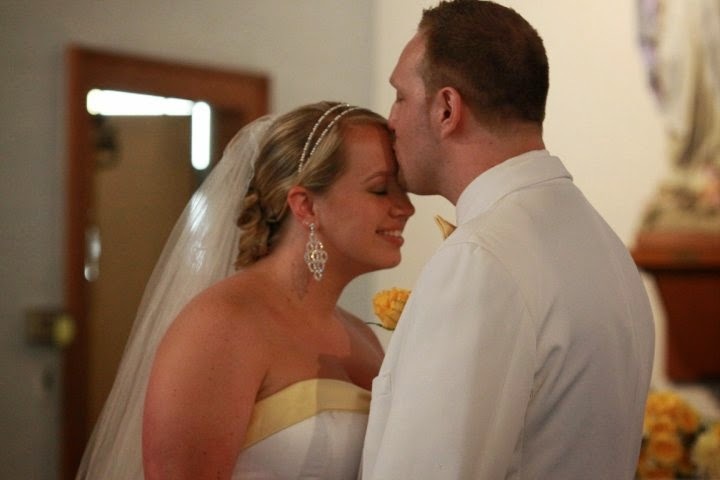 The first two years of our marriage were harder than I ever could have imagined but now, it's the 'better' part. A perfect house that we're constantly making more ours every day and two beautiful children who growing up to be just like us. For loving all my imperfections. For making me feel like the most beautiful woman even when I'm no longer the girl you first met and fell in love with. Thank you for making me the person I am. 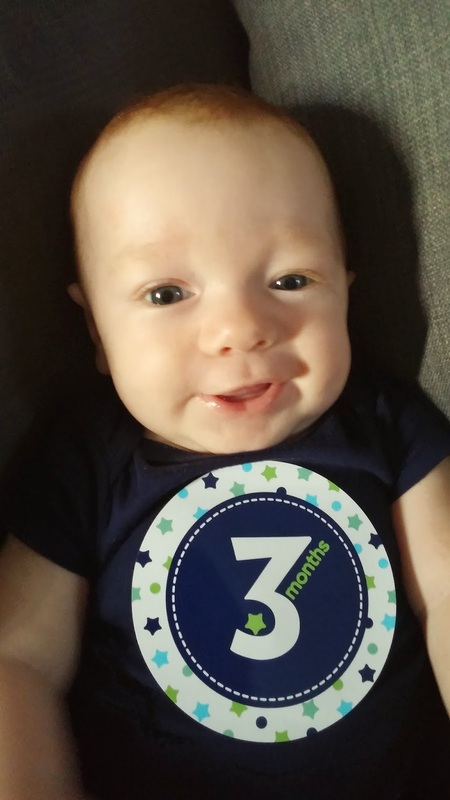 Little Man is 3 Months Old! No doctors check up this month, which actually makes me a bit sad because I can't know for sure how much he's grown. I did take him on the scale and the did my self alone and found out he's 13 lbs ! Yikes! It's so crazy that he grows so fast! He's started putting weight on his legs to hold himself up. We support under his arms but he can "stand" on his own legs. He's great at lifting his head. He loves grabbing things and putting them in his mouth already! 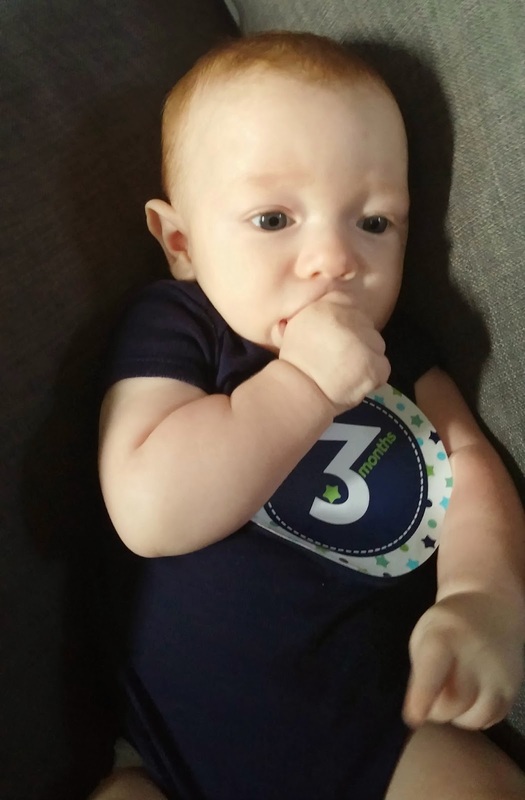 It's usually his blanket or his own fingers but he just loves chewing on things! 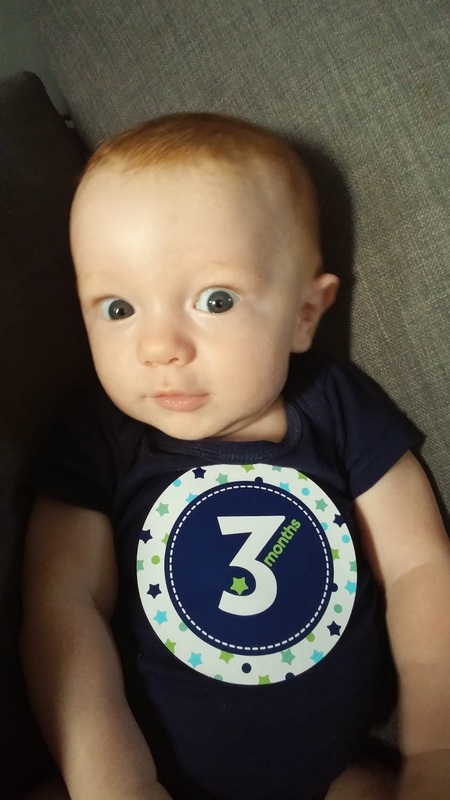 He also spent his first (and 2nd, 3rd, and 4th) night in his crib! He sleeps in there 75% off the time, with the other 25% being bedsharing after I fall asleep while nursing... oops. He likes to sleep sideways and rolls to a side. He can't do that in his rock n play so he's gone to 7/8 hour stretches of sleep every night. The social smiles are seriously my favorite. He still smiles all the time, especially at his sister. She will just walk over and he smiles from ear to ear. He's pretty friendly with everyone who smiles at him but he saves the best ones for us. Someone is sleeping in his big boy crib! For everything, even naps. If we put him in his rock n play, he tries to roll to the side, can't and wakes up. Looks like we'll be posting that to a yard sale site sooner rather than later! He's in bed anytime between 6:30 and 8 and is usually in there until about 3 am. A nursing session and he's back asleep until 6 or 7 am. He usually falls asleep if he's in his swing or the car. Still drinkin' nothing but momma's milk. We've got a great little thing going on but he definitely has some preferences. He prefers side lying, rather than being cradled in my arms. He has to "hold on" and my chest is all sorts of scratched up from his little nails. I've consumed peanut butter, shellfish, dairy and no reactions yet so I'm very happy! Lots of laughs and sighs. He makes little coo noises and has "conversations" with me. Talking to people. He gets a huge smile when people talk to him. His sister and his A+A lovie that he uses as a chewing blanket. Getting changed, he hates being in a dirty diaper. He holds on to my hand constantly. Sometimes he just wants to be held and only by me. I still love the middle of the night snuggles. The rooting, squirming around and then the huge breath of relief from him when he latches, just adorable. I love wearing him! He's so content in a babycarrier and it makes things so easy! 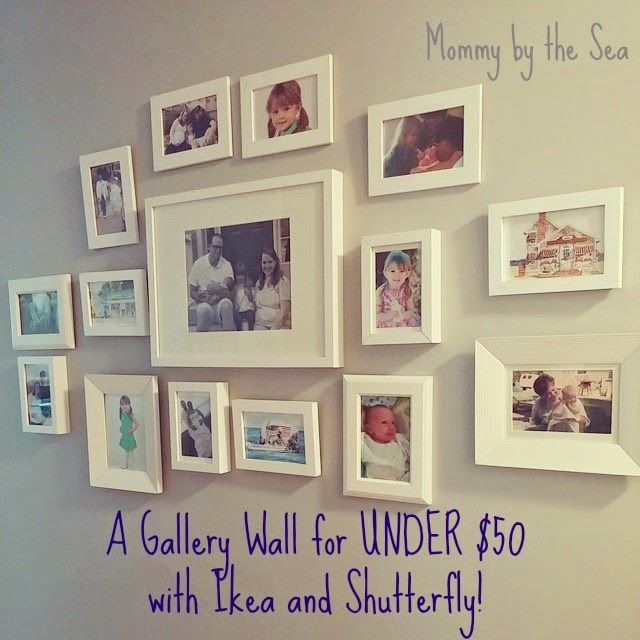 A Gallery Wall for Under $50 with Ikea and Shutterfly! Our house is still in shambles after moving. I feel like it's actually messier. And yes, I know we moved 3 months ago but in that time frame we also had a small child and I'm lucky to find time to shower with two children, never mind organize. I do make plenty of time to look for home improvement and home decor ideas on Pinterest. Now, I have unpacked. And organized but I'm not loving it. And if this is my forever home, I should love it, right? 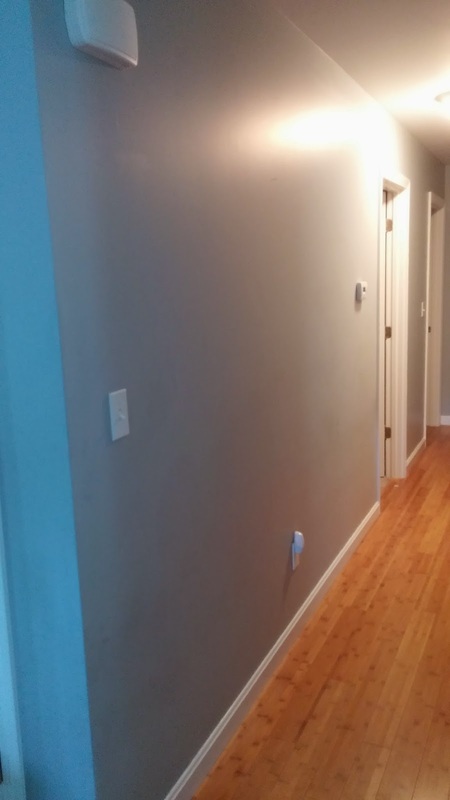 I know there are a few furniture pieces I want to switch out before I hang things in the living room but I knew this hallway wall that goes to the bedrooms was just perfect for a DIY wall art treament. After looking at tons of decorating ideas, I decided it would be the perfect spot for all of our favorite family pictures. It's just blank and empty and needs some love. It's practically begging to be a gallery wall, right? At our most recent Ikea trip, we grabbed a handful 15 frames, not all the same. We wanted to be able to add more in later even if one particular frame was no longer available. 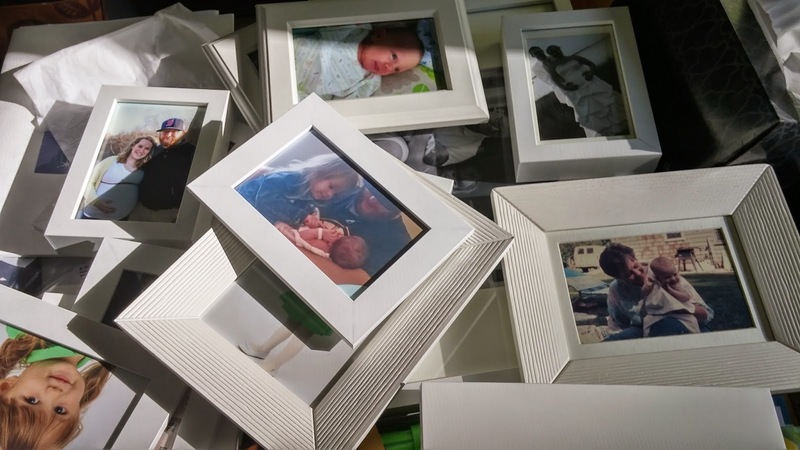 The fifteen picture frames from Ikea rang in at a very do-able $32, rather than the $5-$12 per frame at other retailers. The frames we picked up included the RIBBA, the HAVERDAL, and the NYTTJA. 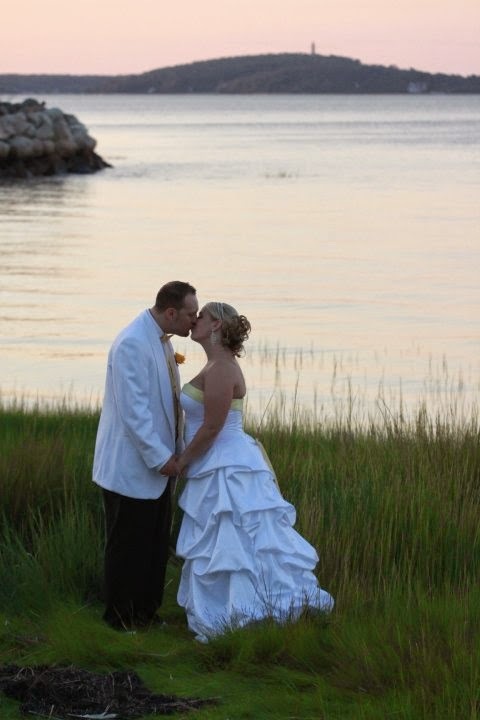 Next was ordering images from Shutterfly. I literally order about 100 every other month so I have no idea how I pared it down! The total for the 12 images (Sounds like I'm missing 3... hold on...) plus shipping was less than $5. To break up just pictures of our family, I went deep into the boxes of unpacked goodies in the basement and pulled out some gorgeous watercolors of Plymouth where I grew up, and where hubs and I met. Because each image is of a beach town store front or the ocean, it really lends a nautical vibe. With a $4 package of nails from Target (or anywhere you buy that type of stuff) and a hammer we already owned, I was ready to hang. Unlike most people, I did NOT map it out first! I wanted to be free flowing and organic so I can continue to add more frames as I want without worrying about having 2 vertical pictures so it stays balanced. The most time consuming part was actually walking through Ikea and picking my images! 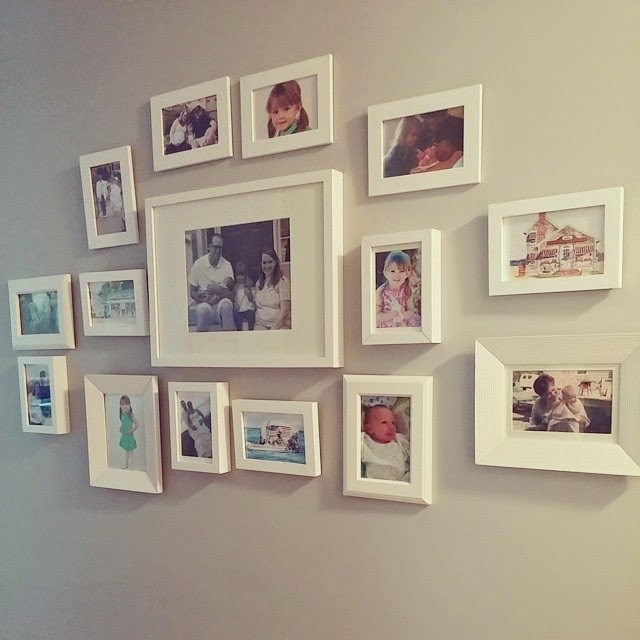 Putting pictures in every frame and hanging only took an hour! What home project should I work on next? Natural vs C Section: Who Is the Better Mother? As extreme as it may sound, the show [Born Into The Wild] is, believe it or not, a natural extension of a culture that has turned labor into a defining moment in women's lives, their first chance to prove just how devoted a mother they truly are. The criteria for measuring this devotion are based on how little medical intervention they use during labor, meaning the ultimate mama, the sort who might appear in this new show, is one who relies only on her breath, the shade of a couple of pine trees, and a kiddie pool on top of a bed of leaves to get her baby out in the most natural method imaginable. On the losing end of the spectrum, we'd see a C-section mother, who broke every alternative birthing commandment imaginable by electing to undergo the procedure. I've struggled with writing this piece because it's very personal and I'm sure, controversial. Natural childbirth vs a cesarean. Are you proving your worth as a mother if you have one rather than the other? My first pregnancy went 41 weeks. She was classic textbook. We didn't find out the gender, she hit every milestone she was supposed to, there was never any doubt in my mind that I would have a vaginal delivery. The night before my induction, which was scheduled at exactly 41 weeks, I went into labor on my own. It came on hard and fast. I had never made a birth plan, what's the point, the baby can't read and won't follow it anyways. I had never considered an epidural. Not because I thought I was better than them, but because I was petrified of one. I never got one. Within two hours of my water breaking, it was time to push. I pushed for maybe 30 minutes and she was in my arms. A completely natural delivery. She went skin to skin immediately and latched within the hour. Until I went into labor I was scared of what labor would be like, I was afraid of the pain and the recovery. I felt power and pride when I saw a perfectly healthy little baby in my arms that my body had made and nurtured. I was proud of how brave I had been. My second pregnancy was different. We learned we were having a boy at 17 weeks. 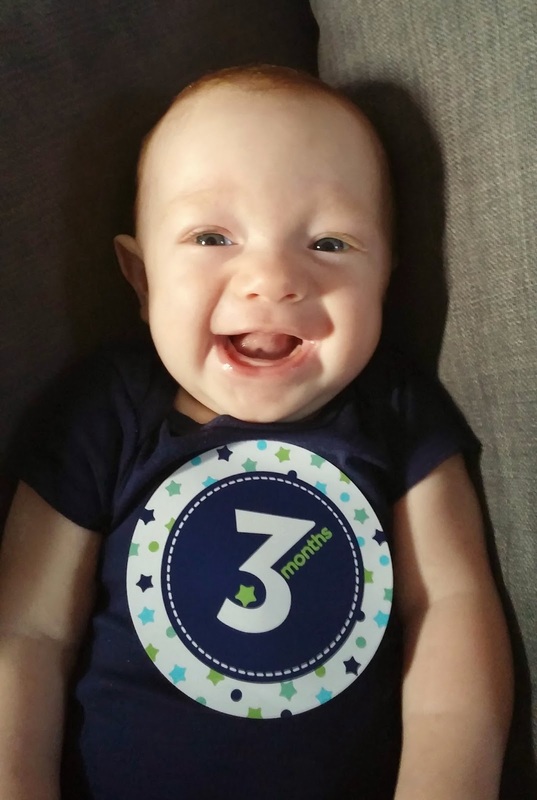 He hit every milestone he was supposed to, until we hit 32 weeks and he hadn't flipped. 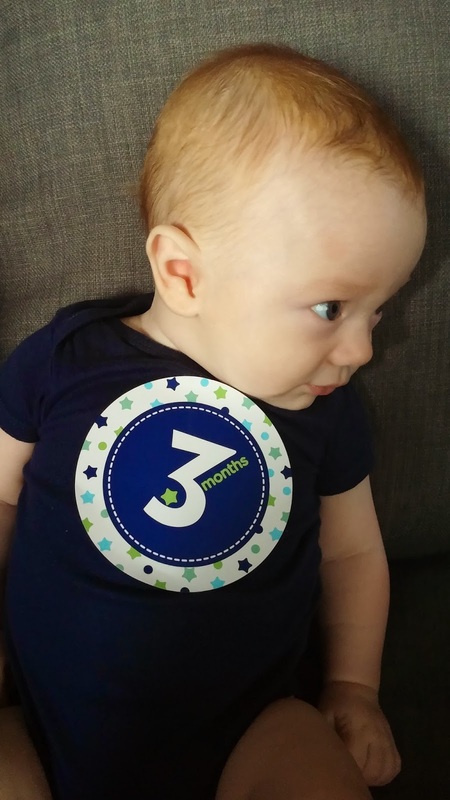 At 36 weeks, he hadn't flipped. At 38 weeks I attempted a version and he didn't flip. I fought so hard for my vaginal delivery. The night before my scheduled c-section, I sat in my bed thinking. I hadn't made a birth plan again and clearly this little man wouldn't have listen anyways. I was petrified of the spinal. Within two hours of being at the hospital, it was time to get me into the operating room. Seven minutes later I had a small child in my arms, and a half hour later I was all stitched up. A completely textbook routine cesarean. He went skin to skin immediately and latched within 15 minutes. Until it was over I was scared of what a c-section would be like, I was afraid of the pain and the recovery. I felt power and pride when I saw a perfectly healthy little baby in my arms that my body had made and nurtured. I was proud of how brave I had been. But I was disappointed in myself for a bit. Before he was born, when people would ask, I always said "I need to have a c-section because he's breech", like it was an excuse for my failings. But I didn't fail. I gave birth to a perfect little boy the way he needed to be delivered. Am I a better mother to my daughter who was a natural delivery? Nope. I was, and am, exactly the mother that both of my children need, even if those needs were not and are not the same. My three year old is pretty much the funniest person I talk to. I don't know where she comes up with the things she does. I posted a few to Facebook and the response was overwhelming. At the end of each month, I'm going to put all of her amazing quotes onto one post for everyone's enjoyment. I'll post it on the first of the month for the previous month, makes sense? Good. 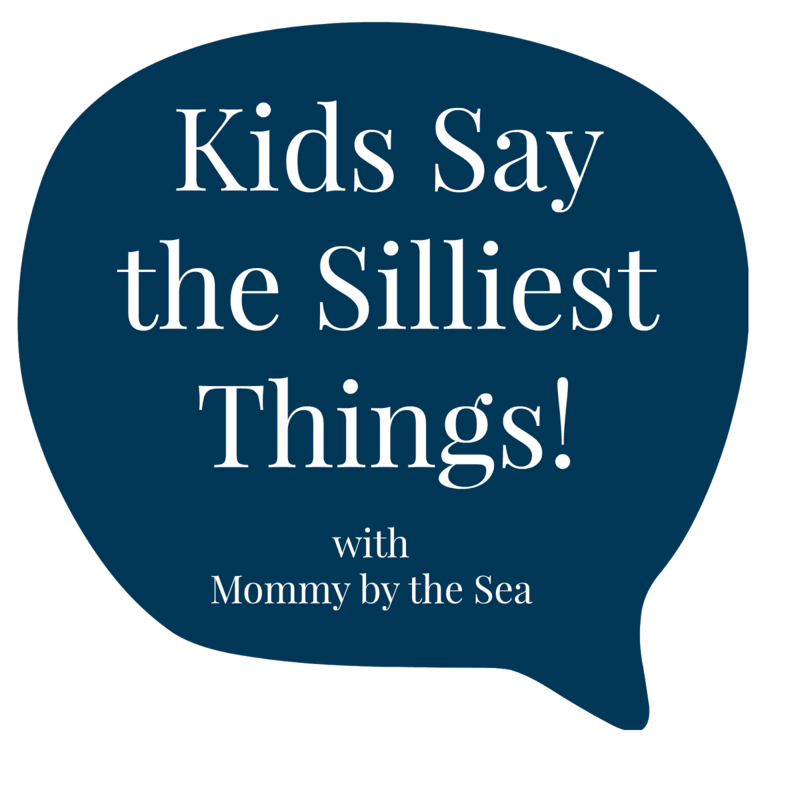 Now, next month, on September 1st, please come and add silly things your kid says! "Why does it hurt kiddo?" "Because I eat so much frap"
"Hey mom, I need to ask you a festion." "What do you need to ask me?" "I ate one of your French fries. Okay?" "Momma, what are you dooonin?" "Cleaning, what are you doing?" "Making a mess of edeything". "You're welcome momma. See, I use my manners!" "Emma, stop hitting the cat with the roll of wrapping paper." "But I am trying to get the candy out of her. She's a pinata." "Mommy, I have a baby in my belly. I'm going to name him Ra-Ra." ...and then her tea party plate fell out of her shirt. "Daddy, you have boobies too!" She's hyperaware of me nursing her baby brother. "Mommy will you hold me and say 'Rock you baby like a whackin wheel please?" She has great music tastes. "Mommy, I am making a kitty cat popsicle"
The cat had climbed into the fridge while Emma had been in looking for something to eat. I promise she wasn't in there for more than 2 minutes. Stay tuned for next months edition!